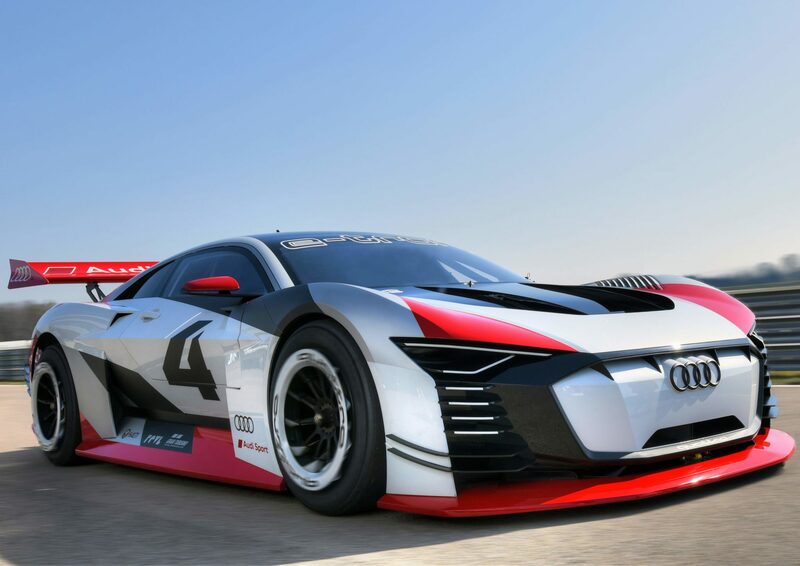 As we’ve known for a little while now, Audi has become the latest manufacturer to join the Vision Gran Turismo project. 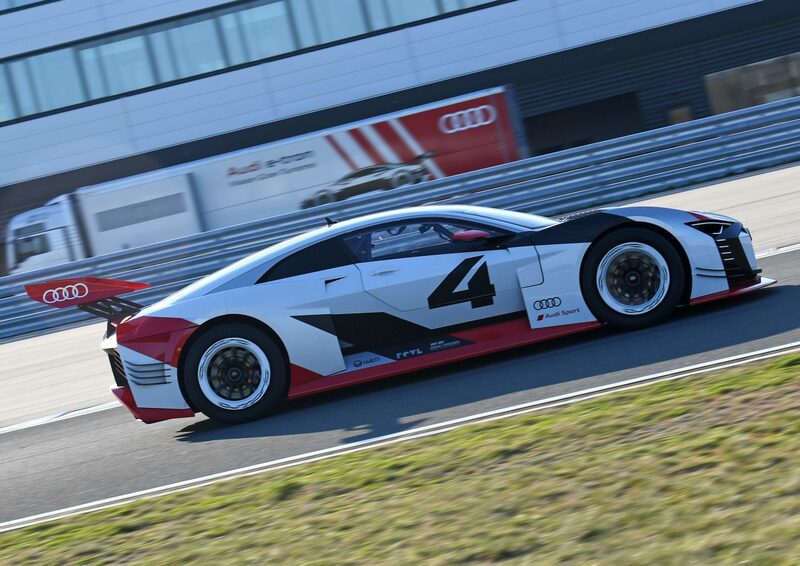 It’s just taken the covers off its car at a special Audi Sport event in Neuburg – and we mean literal covers. 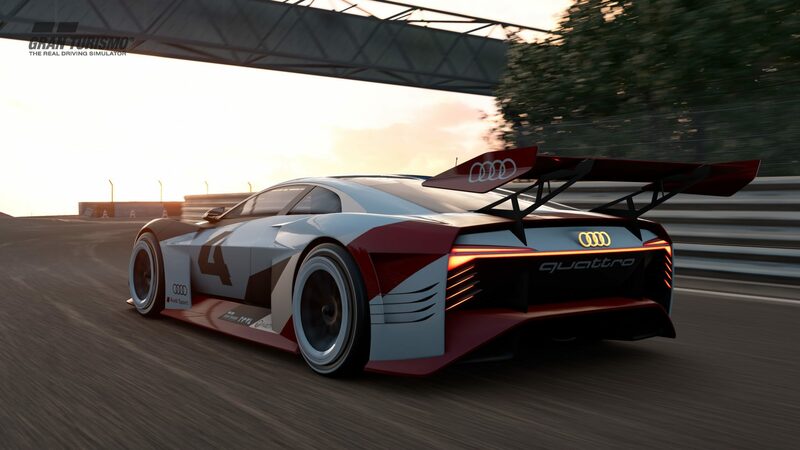 The Audi e-tron Vision Gran Turismo is, it turns out, an actual, real vehicle. 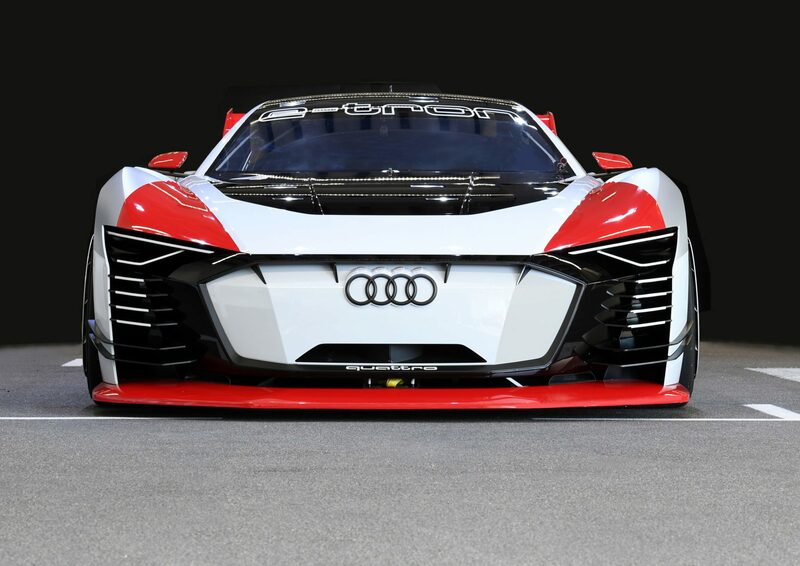 While most manufacturers took the Vision GT brief as an excuse to build full-scale show cars, Audi has gone a step further in making its car entirely real. 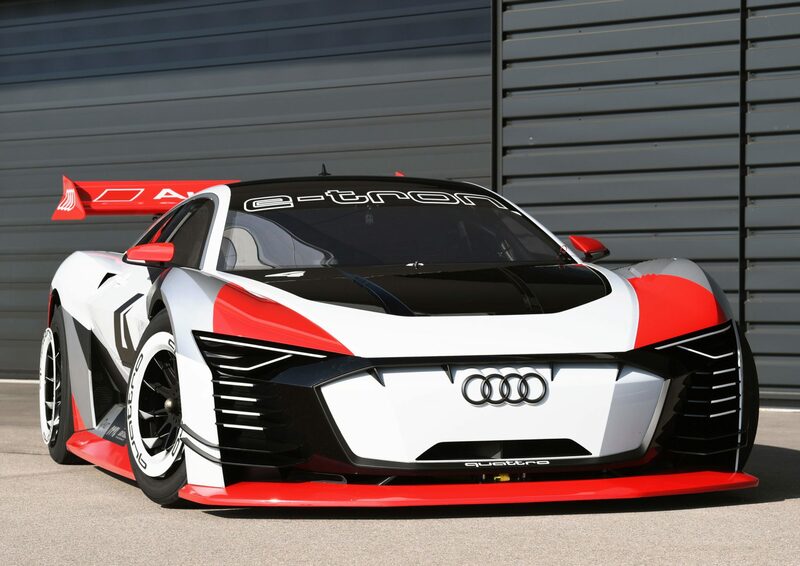 Not only is it a functional car, Audi will use it as a race taxi at Formula E races around the world. 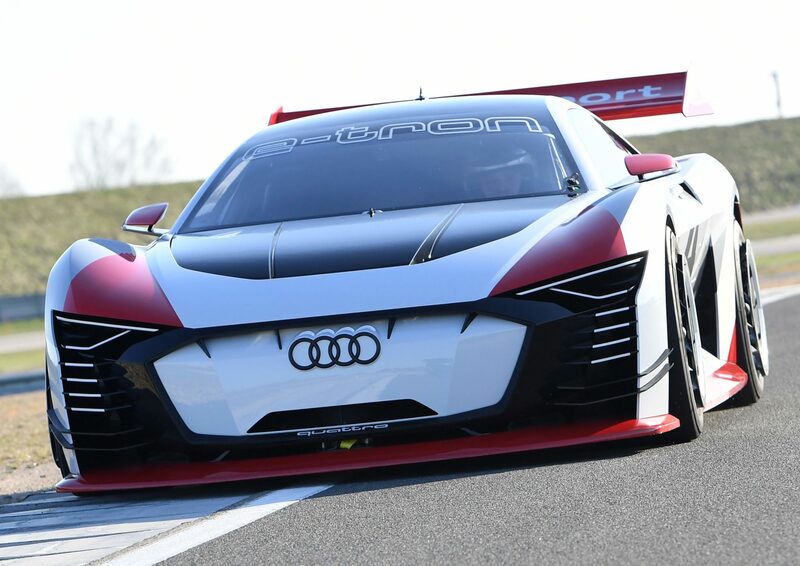 The e-tron Vision Gran Turismo, driven by DTM driver Rahel Frey or Le Mans winner Dindo Capello, will take Audi customers and guests for a high-speed spin around the event circuits. 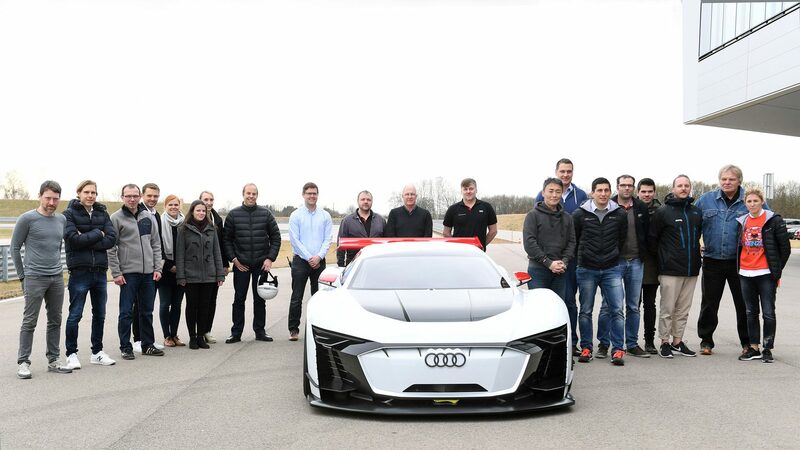 This service starts at this weekend’s (April 14) Rome ePrix. This is what we are particularly proud of. 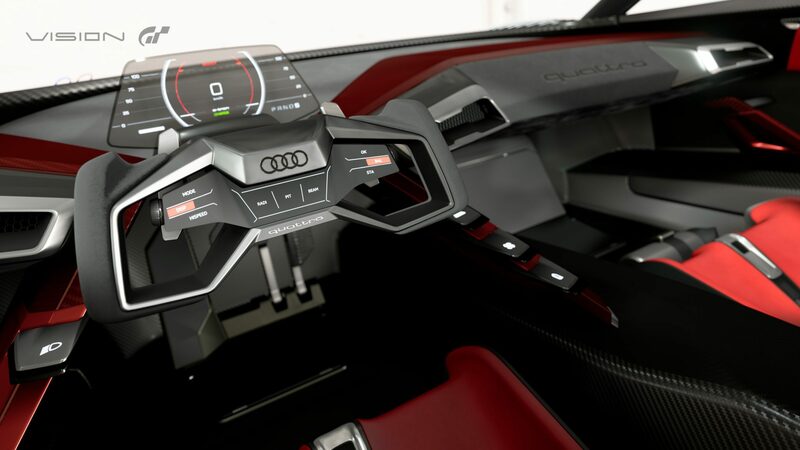 Although the design of a virtual vehicle allows much greater freedom and the creation of concepts which are only hard to implement in reality, we did not want to put a purely fictitious concept on wheels. Our aim was a fully functional car. 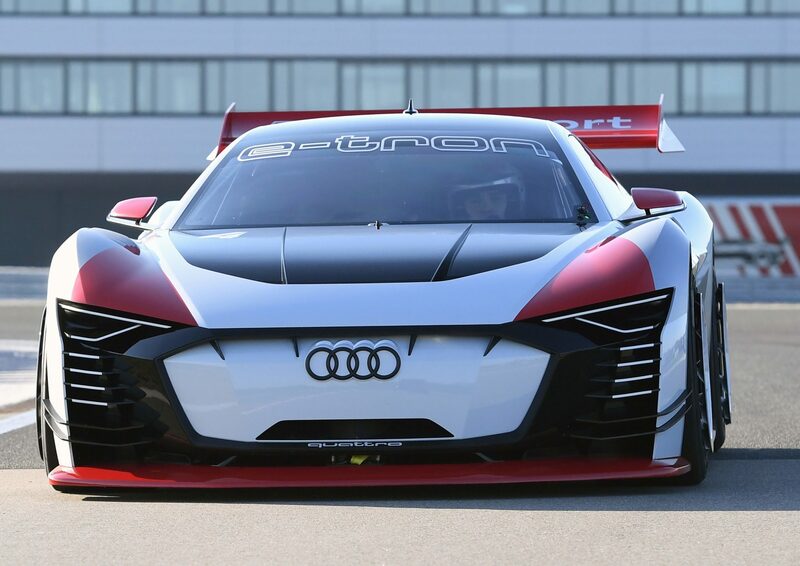 The Audi e-tron Vision Gran Turismo shows that electric mobility at Audi is very emotive. 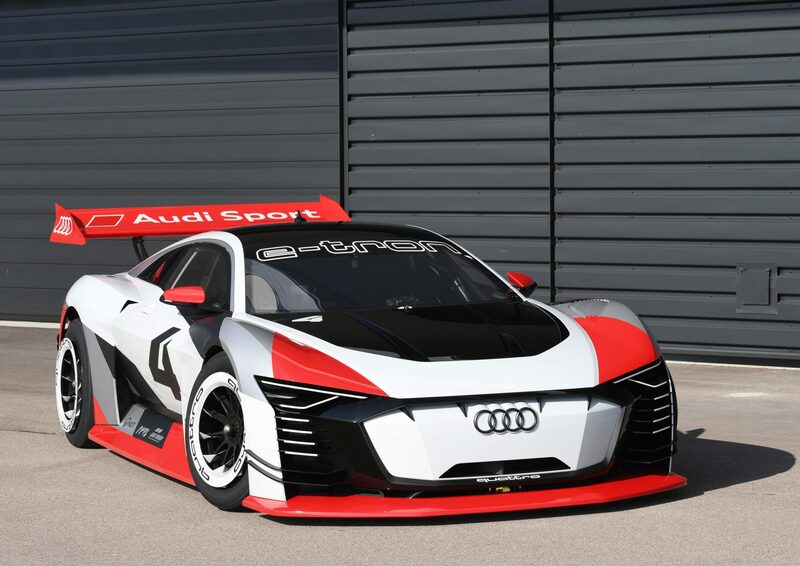 This car incorporates numerous elements of our new design language such as the inverted single frame in the vehicle’s color that will be typical for our new e-tron models. 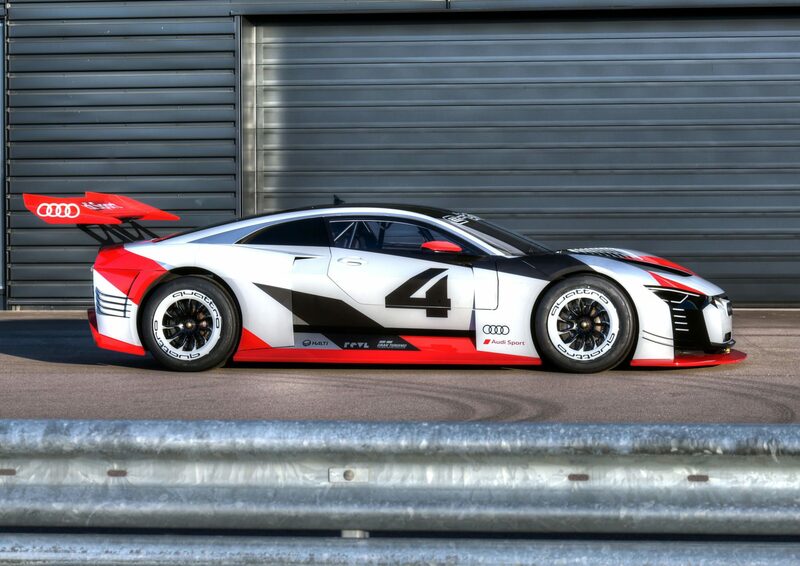 The car itself has been in the works since February 2013. 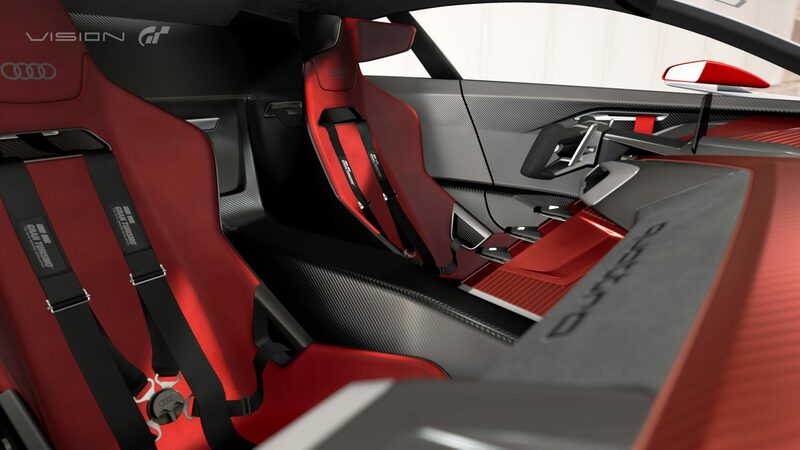 As a full-electric vehicle, it packs in three electric motors, two driving the rear wheels and one driving the front axle. 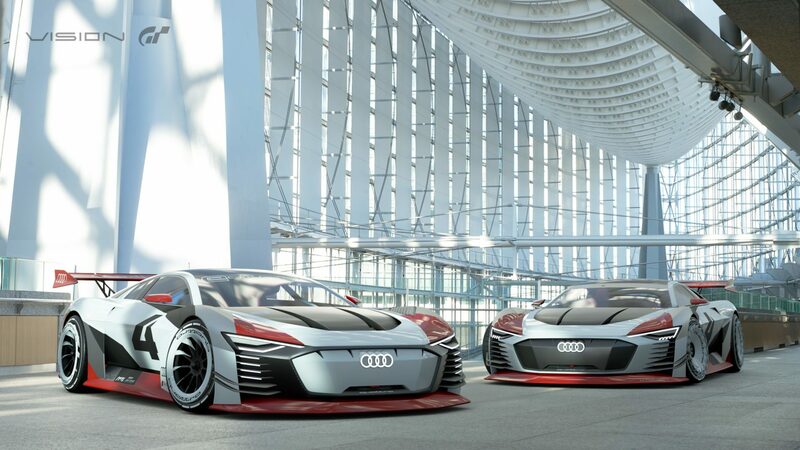 Each is good for 200kW (268hp), making for a total system output of 600kW, or 805hp. 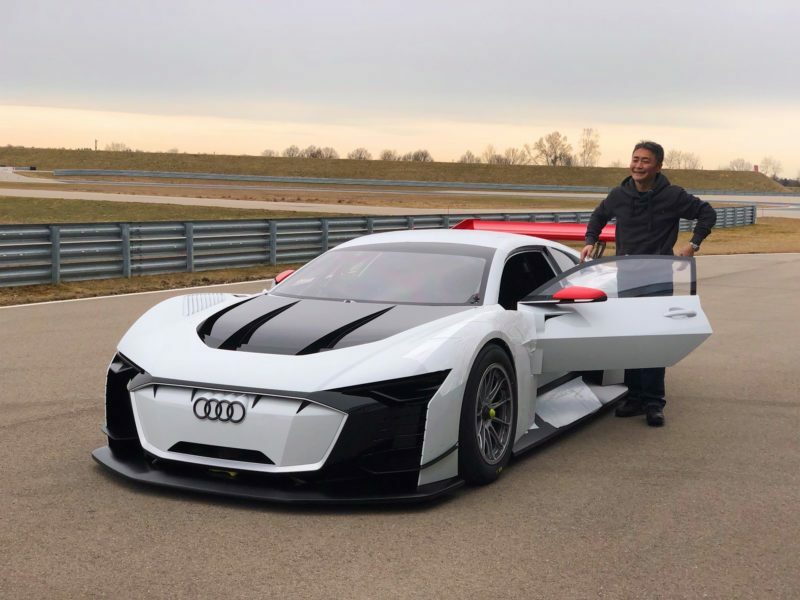 The extra weight of the car’s battery packs means it tips the scales at just under 3,200lb, but with a perfect 50:50 weight distribution and four-wheel drive traction it can hit 60mph in just 2.5 seconds. 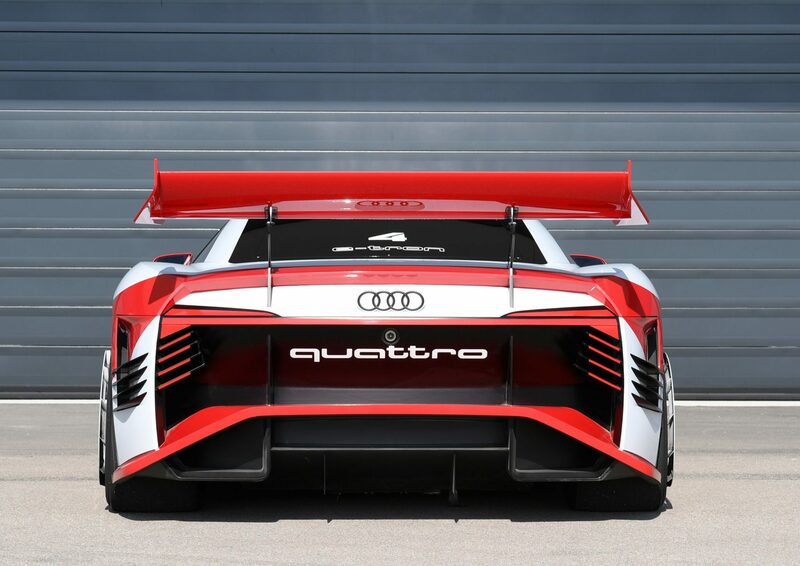 For design inspiration, Audi Sport looked to one of its most iconic cars. 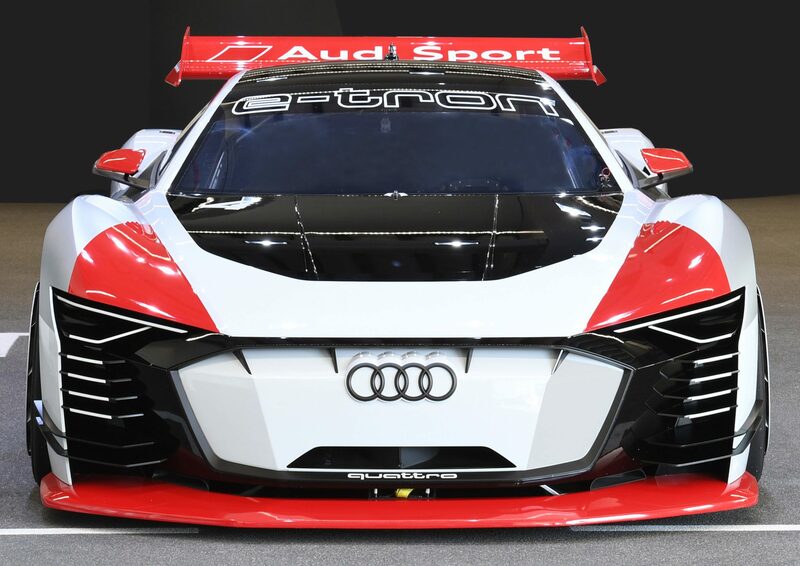 The Audi 90 IMSA GTO raced in the 1989 IMSA series, driven by legends such as Hans-Joachim Stuck, Hurley Haywood, Scott Goodyear, and Walter Röhrl. 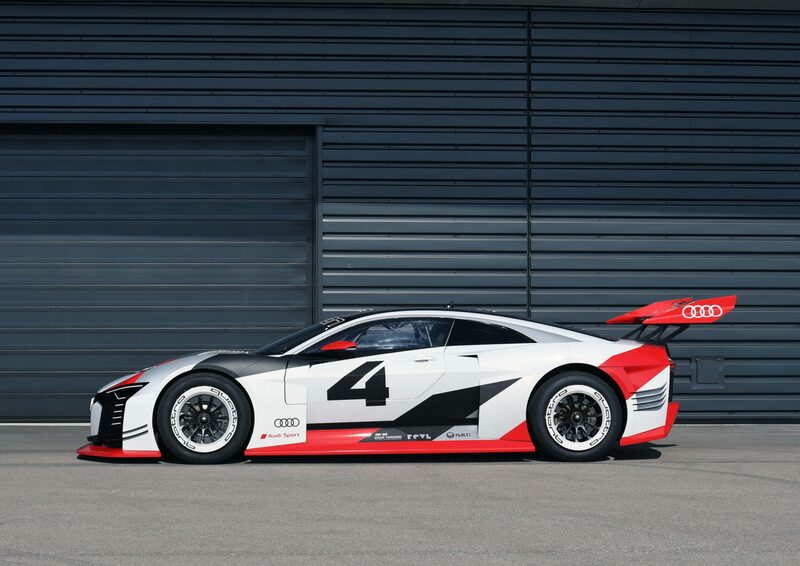 Like the Vision GT car, the 90 used quattro four-wheel drive to devastating effect, although it used a more conventional five-cylinder turbocharged petrol engine. 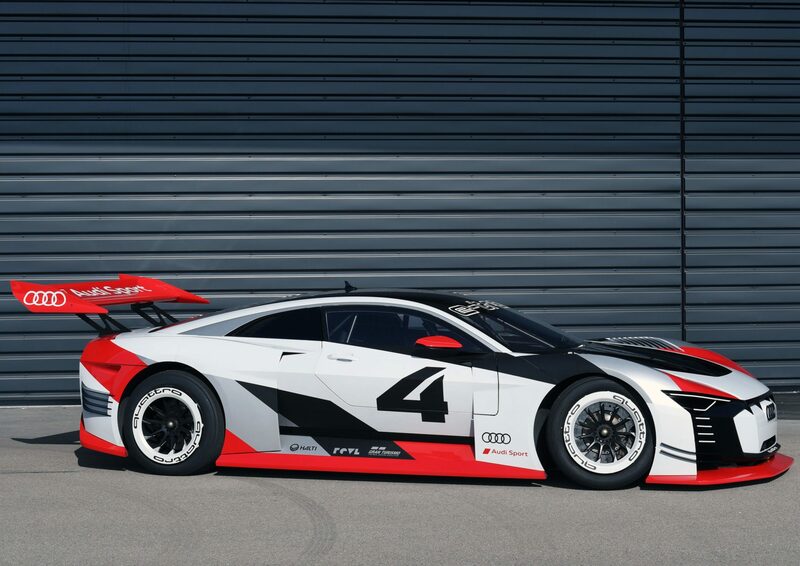 The Vision GT pays homage with the deep-dished wheel design and the paint scheme. 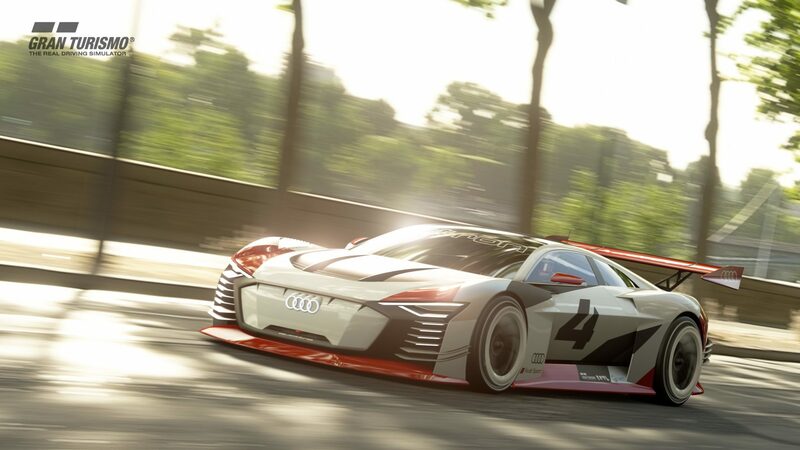 When this car makes its way to GT Sport with the April 9 update, it’ll bring a sibling with it. 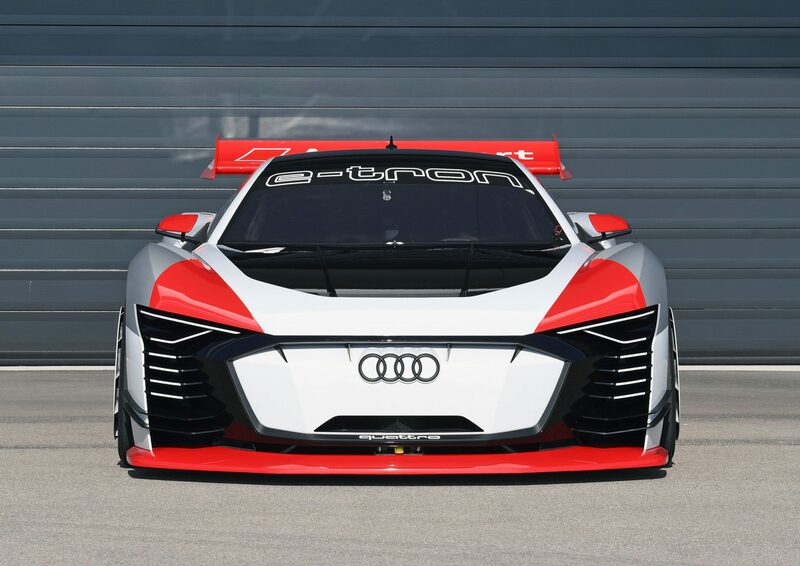 This is the hybrid version of the vehicle, called “Audi Vision Gran Turismo”. 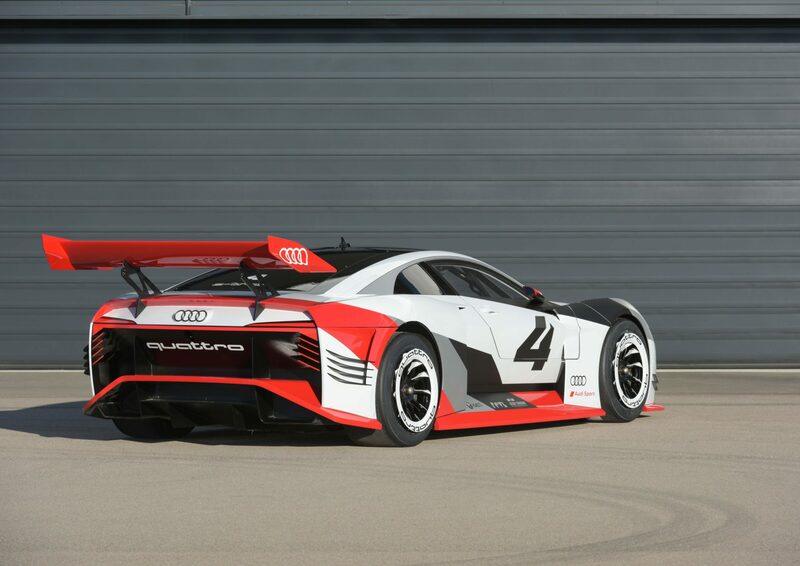 This keeps the front motor, but instead uses a 3.4-liter V6 turbo to drive the rear wheels. 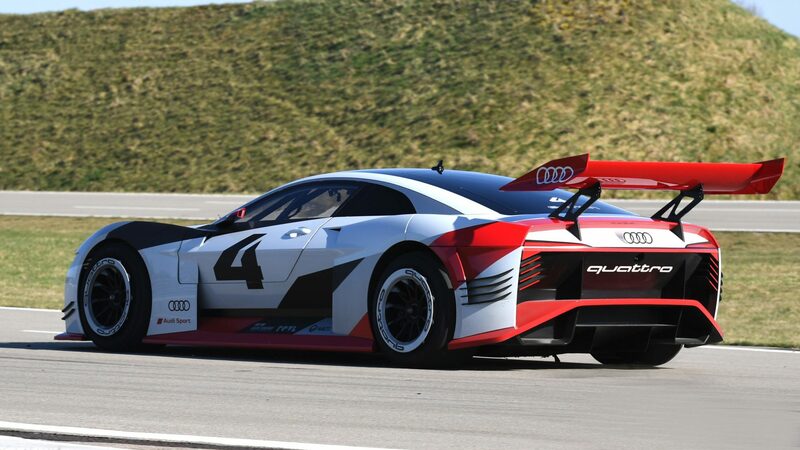 Total system output for this car is 1,274hp. 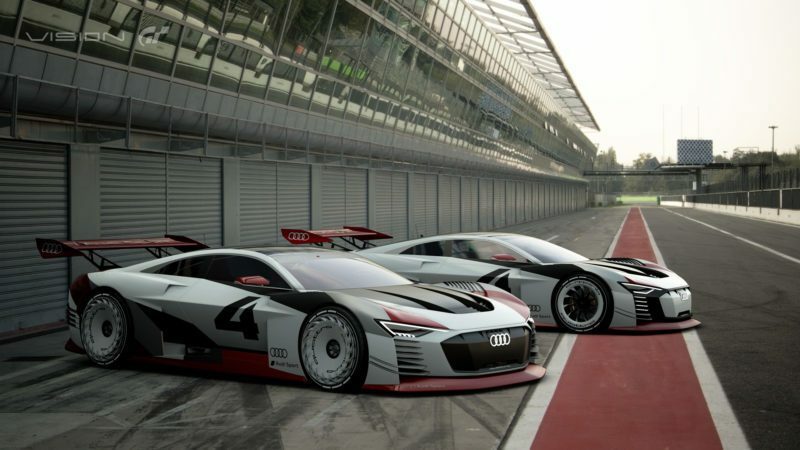 Players can easily distinguish between the two cars thanks to the white front end of the e-tron model, and the different wheel design. 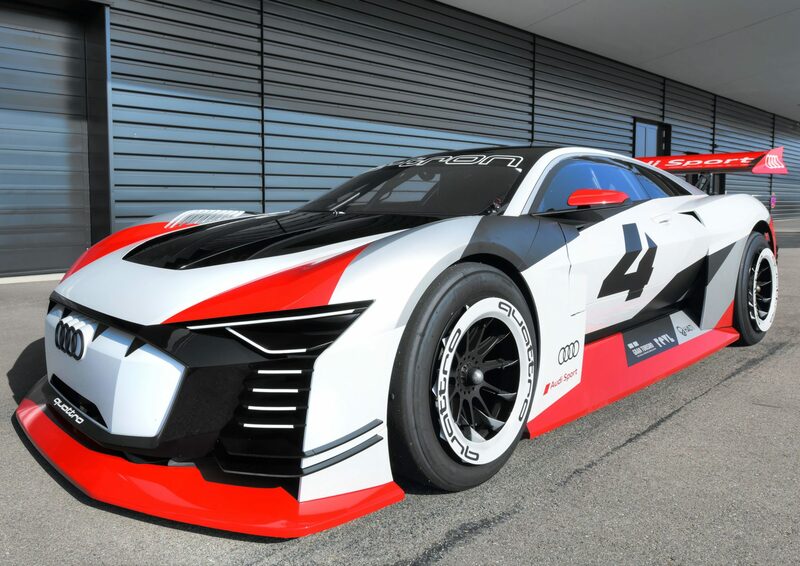 Both cars are available exclusively in GT Sport, following the 1.17 update on April 9.